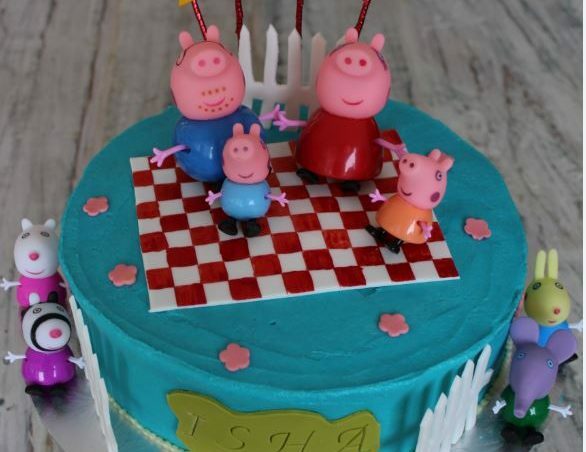 The Peppa Pig craze continues, and I hope my next few posts won’t bore anyone…I’ve had many mums ordering Peppa Pig cakes for their munchkins. One mum even had 2 parties; at school and at home and BOTH cakes were Peppa Pig! Thankfully the designs were different, else I’d be bored to tears! I haven’t done any new recipe hunting, I’ve just been perfecting my decorating skills really and looking at getting better at that. Plus when it comes to kids birthday parties 99% of the orders are for chocolate cakes and there will be some odd ones here and there who ask for a vanilla cake – speaking of which I think I’ve finally cracked the vanilla cake recipe which I should upload soon as well. This Peppa Pig Family Picnic Cake was one of the very stressful cakes I’ve made in a very long time. 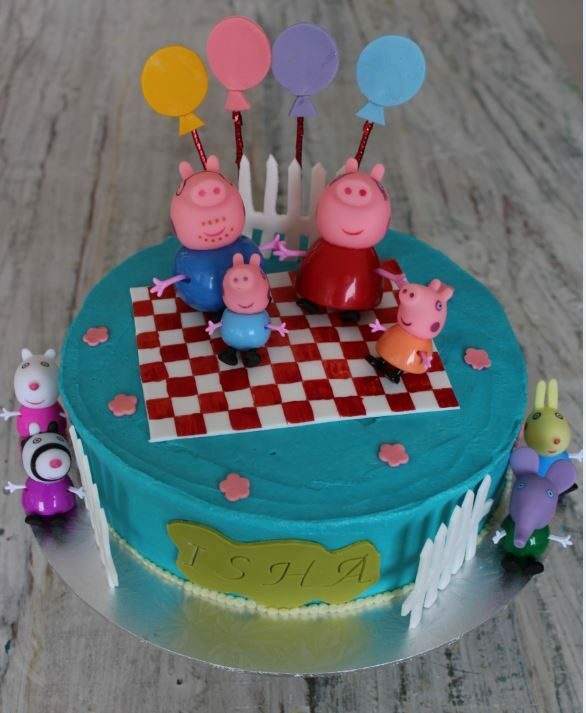 2 little girls (sisters) were having their 3rd and 5th birthday party – the parents are good friends of ours and they wanted me to make their cake, a Peppa Pig Picnic one and My Little Pony (post to come soon) – this was clubbed with the Peppa themed cookies from the last post. 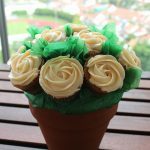 Back to the stress level – 2 days before the cake was meant to be delivered my younger one ended up in the hospital for a severe tummy bug, so I was spending my nights at the hospital and my days running back home to prep the cake. I had to honor the order, I felt bad on a last-minute cancelation and just went through with it – business is business right! having said that once the birthday girls’ parents found out they wanted to cancel everything and just get anything from the nearest bakery – which was wonderful of them. As stressful as this was I have to say once I got into making it was therapeutic – took my mind of my daughter and let me get away and get some rest. And boy the sleep I had once everything was delivered – that night was bliss in the hospital as my younger one was on her way to recovery and the cakes were delivered and a huge success! I’m big on NOT using fondants on my cakes, it gets thrown away, its just pure sugar and unhealthy so I work with buttercream for the most bit but add the decorations with Fondant to give it the finish and make complicated things. The birthday girl just wanted a picnic mat and balloons on her cake, the other embellishments I added on and the mum sent across the Peppa family and friends to put on the cake. I feel that’s a much better use of characters versus making it with fondant. The kids actually get to go home with something from their cake they play with for a while. Once all the decorations are set and ready, pull the cake out of the fridge. Let it come to room temperature before putting the decorations on. If you put it on while its cold the fondant will start absorbing the moisture and get runny. Patience is key. Place the picnic mat first diagonally on the cake, followed by a fence on top of the cake, it needs to be completely dry and hard to sink into the cake. Next, stick the balloons in behind the fence, the skewers will also act as support for the fence to help it stand. Sprinkle the flowers randomly around the picnic mat. Place the name plate next followed by the left and right fence and lastly add the Peppa family and friends on the mat and around the cake.